Throughout Pepys’ diary he makes verious references to people and places (usually inn keepers and their establishments) he knew and frequented. Several of these issued tokens. Some of these are discussed hereafter. The object above is an entrance ticket or pass dating from the reign of King Charles II. It measures 29.7 mm and weighs 11.15 grams and is bi-metallic comprising an inner brass core and an outer copper collar. 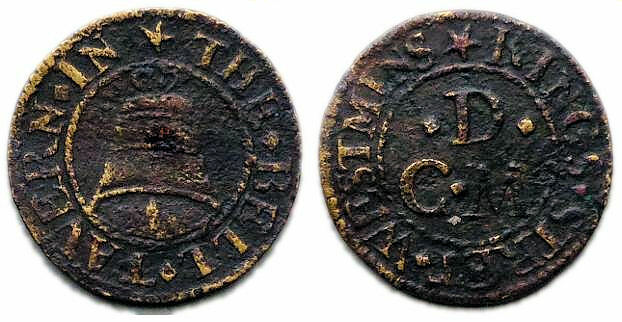 Unlike the tradesmen’s tokens which are the primary focus of this website the above ticket or pass had no monetary value at the time of its use between the 1660s to 1680s. It was issued by official agents of the Crown to sufferers of scrofula as a form of official entrance ticket or pass to one of Charles II’s royal healing or “touching” ceremonies. These were held in the Banqueting House of the Palace of Whitehall throughout his reign. Obverse: CAR . II . D . G. M . B . FR . ET . HI . REX (six pointed star) around the depiction of a three masted ship sailing left (Note 1). 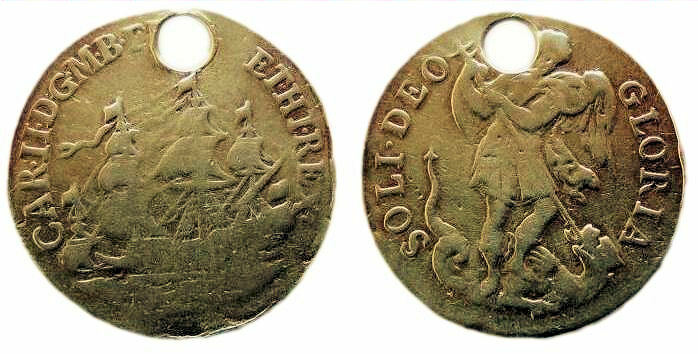 Reverse: SOLI DEO GLORIA (six pointed star) around the depiction of the angel Michael spearing a recumbent dragon at his feet. Before considering the method of issue and use of the above types of ticket or pass it is worth explaining further the context of their use and the formal ceremony to which they gave their bearer access. Historically in Britain scrofula or the “King’s Evil” was a name applied to a variety of skin diseases but in particular a form of tuberculosis, affecting the lymph nodes of the neck and which resulted in bulbous swellings and sores. It has been estimated that in 17th century London 1% of the population were suffers of the disease which effected people of all social classes. From the reigns of King Edward the Confessor in England (1003 to 1066) and Philip I (1052 to 1108) in France it was believed that a touch from the king could cure diseases given that the monarch had been granted divine powers. Subsequent English and French kings were believed to have inherited this “royal touch”, which was taken as an indication of their god given right to rule. In grand ceremonies, kings touched hundreds of suffers afflicted by scrofula. In later years those attending such healing ceremonies also received a gold coin, typically an Angel, from the monarch which was also believed to be blessed with an extension of the monarch’s healing powers. These presentational coins became known as “touch-pieces” and over time became treated as amulets and were pierced for wearing around the recipient’s neck by a ribbon. 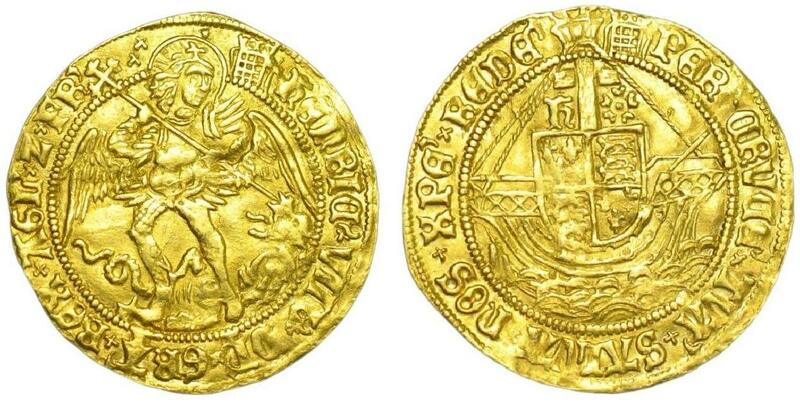 The last Angels to be minted for general circulation were issued in 1642(1) from the Royal Mint which was located in the Tower of London. After this date the mint was seized by Parliament at the start of the Civil War and in whose control it remained until the Restoration of Charles II in 1660. 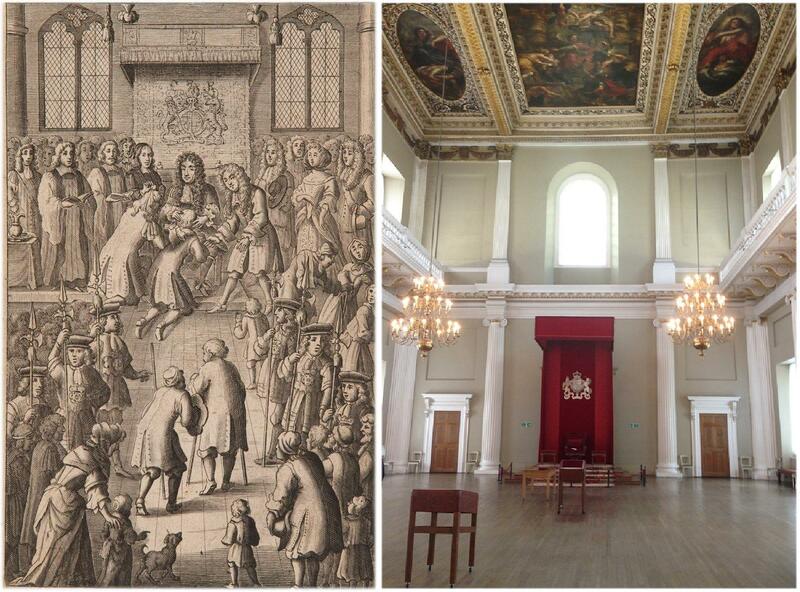 During the reign of James I the location of the royal touching ceremony was transferred from the Chapel Royal to the Banqueting House within the Palace of Whitehall(2) , Westminster. 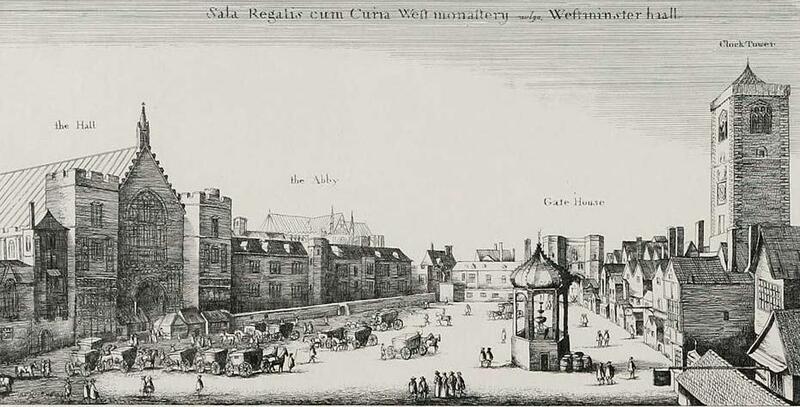 This continued to be the London venue for the ceremony throughout the reign of Charles I. During the Commonwealth period the practice ceased on British soil although it was continued by Charles II while in exile on the continent. On his restoration in 1660 he was quick to restore the ceremony, presumably as a means of re-affirming his rightful position as monarch through the practice of a divinely given gift (i.e. that of healing by touch). In September 1660 Thomas Simon, the mint’s then chief engraver, was ordered to prepare sketches and dies for a new series of Angels(1). While there was an obvious early intent by Charles II to restore the Angel into common circulation within the Kingdom, and for use as touch-pieces, it never happened. However, in February 1664/5 Charles commissioned a new supply of purpose made gold “touch-pieces” from the mint at the Tower of London(2). The first issue of these new presentational medalets was struck from dies which were almost certainly cut by John Roettiers who was one of the mint’s chief engravers. 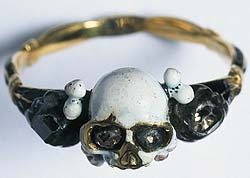 Over Charles II’s reign six separate sets of dies were commissioned for the on-going striking of touch-pieces. Although the same emblems as used on the old Angels (i.e. St. Michael spearing a fallen dragon plus a ship in full sail) were maintained on the new touch-pieces their designs were different to those of the earlier Angels in that the monarch’s titles were switched to appear on the side depicting the ship, thus making it the obverse whereas on the Angel it had been on the reverse side. During Charles II’s reign the royal touching ceremony became immensely popular. It is estimated that between 1660 and 1684 the king administered the royal touch to no fewer than 105,000 people, all of whom would have received one of the touch-pieces which contained the equivalent of 10 shillings worth of 22 carat gold(2). During the reign of Charles II the touching ceremonies were held on Fridays between 1st November and 18th December, then during the months of January and for a month over Easter. It was suspended over the warmer months of the year to lessen the risk of spreading infection of any diseases amongst the gathered masses. The first of Charles II’s touching ceremonies was attended by 600 suffers. However, thereafter the number was reduced to a more manageable 200 per session. While most of those who attended the Whitehall touching ceremony would have been from London and the Home Counties there is evidence that some of those who attended were from much further afield. Records exist of a petition addressed to the local assembly of Portsmouth, New Hampshire (USA) which was presented by a colonial sufferer of scrofula who wanted financial assistance to travel to London to be receive the royal touch(2). The first touching ceremony performed by Charles II after his restoration was held on Saturday 23rd June 1660. It was recorded by both the diarists Samuel Pepys and John Evelyn. Pepys’ diary entry relating to this event is only very brief(3). John Evelyn’s account of the event however, is far more detailed despite the fact that it entered erroneously in his diary under the date 6th July(4). (Left) Front piece from John Browne’s Adenochoiradelogia (London, 1684) depicting Charles II presiding at a Royal Touching Ceremony at the Banqueting House, Westminster. (Right) The Banqueting House as it appears today. After Charles II’s death touching ceremonies continued under his brother King James II although it is understood that he was a less keen advocate of the practice as his older brother had been. After the succession of King William III and Queen Mary the ceremony was temporarily stopped until being resumed for a final period (in Britain at least) under the patronage of Queen Anne. She performed the ceremony for the last time on the 30th March 1712 in St. James’s Palace, Westminster. Amongst the last 300 people that day who receive the royal touch and receive one of the last issued golden touch-pieces was a young boy of nearly three years of age who suffered from poor eyesight believed to be a result of scrofula. The little boy was the son of a book seller from Lichfield in Staffordshire. His family had been recommended to seek the royal touch for their son by Sir John Floyer, a former physician to Charles II. After making the three day journey to London with his parents and attaining an entrance ticket to the ceremony, after first being medically certified as eligible by an appointed doctor, he was admitted to the royal touching ceremony. The ceremony obviously made a marked impression on the young boy’s memory. As a grown man, many years later, he recalled his vague memories of the event and how he had met a lady wearing diamonds and a long black hood(2).While he may not have recalled receiving a golden touch-piece from her he undoubtedly did as he wore it on a ribbon around his neck for the rest of his life. After his death this touch-piece was kept safe and later found its way into the collection of the British Museum where it remains today. While this is not a particularly remarkable story it is made far more interesting once the identity boy is revealed. The boy grew up to become the famed Dr. Samuel Johnson the renowned poet, essayist, moralist, literary critic, biographer, editor and lexicographer. 1) Those wishing to attend the ceremony had to obtain a special certificate or declaration letter from their parish minister and church wardens confirming that they were suffering from the “King’s Evil” and that they had not previously attended a royal touching ceremony. 2) The day prior to the ceremony those wishing to take part were to attend the Sergeant-Surgeon whose duty it was to confirm them as suffering from the “King’s Evil”. 3) On the basis that those wishing to receive the royal touch had met the above two requirements they were given an admission ticket to the ceremony in the form of a metal token or ticket. On presenting this ticket to officials at the Banqueting House on the day of the ceremony the bearer was granted admission. Both Charles I and II employed the use of entrance tickets to their touching ceremonies. None of the entrance tickets used during the reign of Charles I have survived whist those used during the time of his son have. The entrance tickets used under Charles II were almost identical in design to the gold touch-pieces medalets commissioned in 1664/5. However, at 29 mm as opposed to 22 mm, their diameter was slightly larger than the new touch-pieces. Also the tickets incorporated six pointed stars which separated the beginning from the end of their obverse and reverse legends. Like the new touch-pieces, the dies used to strike the admission tickets were probably engraved by John Roettiers of the Royal Mint in the Tower of London. There is no evidence to confirm when in Charles II’s reign the admission tickets were introduced. The similarity of their design to that of his new touch-pieces has led some to the conclusion that the tickets were a copy of touch-pieces and so were introduced shortly after the striking of the first batch of the new medalets. 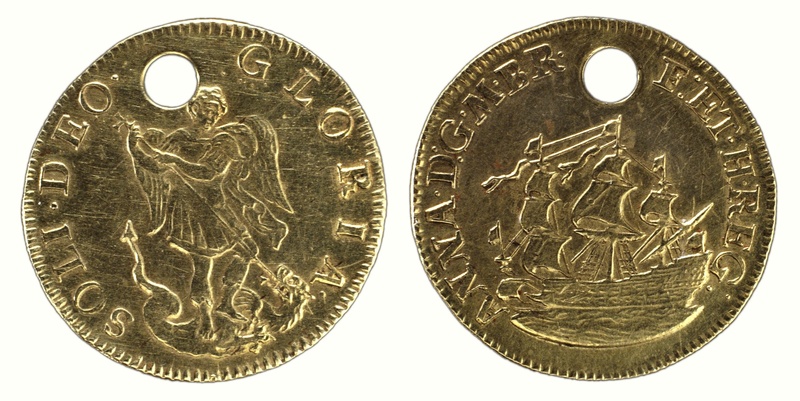 However, given that Charles was conducting touching ceremonies as early as July 1660, presumably using a supply of earlier dynastic Angels, there is no reason that the admission tickets weren’t struck early in his reign and that the design of the new touch-pieces of 1664/5 was based on those of the tickets. As early as July 1660 there is official mention in the Parliamentary Journal of “tickets” being issued to gain access to the touching ceremony(6). It is possible that the tickets referred to in the contemporary account above could have been hand written or, less likely, metallic tickets-tokens previously used in the time of Charles I. After their collection on the day of each touching ceremony the admission tickets were re-issued for use on future occasions. However, to further reduce the possibility of people gaining fraudulent entry to the ceremonies (possibly via the use of counterfeit tickets) the organising officials randomly alternated between the use of four different varieties of the tickets which, while obviously different in appearance, varied only in as much as the metal flans on which they were struck, i.e. copper, copper with a brass centre (as per the one illustrated at the beginning of this article) brass and brass with a copper centre. The bi-metallic copper & brass tickets are much rarer than the other two types. It is noted that some surviving examples of these entrance tickets have either one or two notches filed in their upper edges. The notches have been made purposely and in a non-haphazard fashion. It has been suggested that such identifying marks were made as a further method of establishing their validity and to counter-act fraudulent entry to the ceremonies(2). The continual collection and re-issue of the tickets would help account for their comparative scarcity. Some will have inevitably been lost in the continual process of reuse. Some examples have been clearly pierced for suspension which has given rise to the idea that these examples, at least, were actually used as touch-pieces in place of the usual gold medalets. Alternatively these pierced base metal tickets may just have escaped collection and then been pierced for wearing in the belief that they posed the same healing powers as the gold touch-pieces. 1) The ship on both the touching ceremony entrance tickets and Charles II’s gold touch-pieces can be identified as “The Sovereign of the Seas” which was launched at Woolwich in 1637. At 1,637 tons with 102 guns the ship was the largest afloat at that time. She cost £65,000 to build which was ten times more than any other man-of-war of the time. 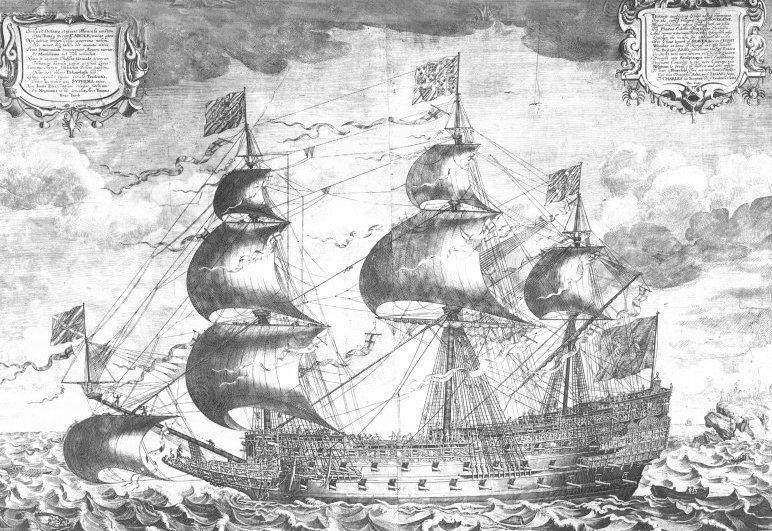 It is ironic that Charles II should have selected an image of this ship to adorn his touch-pieces as it had contributed so much to his father’s downfall through the unpopular Ship Tax. The ship was re-named “The Sovereign” in 1651 and then “The Royal Sovereign” in 1685. During her operational life she took part in the battles of Kentish Knock, Beachy Head and La Hogue. The vessel was accidentally destroyed by fire on 27th January 1696 at Chatham. A few days later the diarist John Evelyn wrote in his diary(4), “The R. Sovereign burnt at Chatham, that ship built in 1637 was perhaps the original Cause of all the after trouble to this day” – a judgement written seven years after the “Glorious Revolution”. Farquhar, H. – Royal Charities. Part II – Touchpieces for the King’s Evil. – British Numismatic Journal. Volume 15. (London, 1919). Woolf, N. – The Sovereign Remedy: Touch-Pieces and the King’s Evil – British Numismatic Journal. Volume 49. (London, 2011). Latham, R.C. – The Diary of Samuel Pepys: Volume I – 1660 (Harper Collins, 2010). De Beer, E.S. – The Diary of John Evelyn. (Everyman Edition. London 2006). Lysons, Rev. D. – The Environs of London: Being an Historical Account of the Towns, Villages and Hamlets within 12 miles of the Capital. Volume I. County of Surrey. (London. 1792). Page 82, Footnote 40 siting Mercurious Politicus, 21st February 1661. Lysons, Rev. D. – The Environs of London: Being an Historical Account of the Towns, Villages and Hamlets within 12 miles of the Capital. Volume I. County of Surrey. (London. 1792). Page 82-83, Footnote 41 siting Parliamentary Journal, 2 to 9th July 1661. The above brass half penny token measures 20.7 mm and weighs 2.34 grams. It was issued by Thomas Blagrave (or Blagrove), the one time keeper of “The Crown” tavern off Threadneedle Street in the Broad Street Ward of the City of London. Obverse: (six pointed mullet) THO. BLAGRAVE. AT. YE. TAVERN, around a twisted wire circle, within the depiction of a crown. 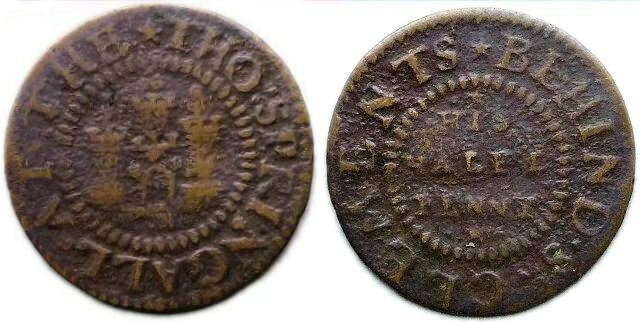 The token is undated but is likely to have been issued during the mid to late 1660s. 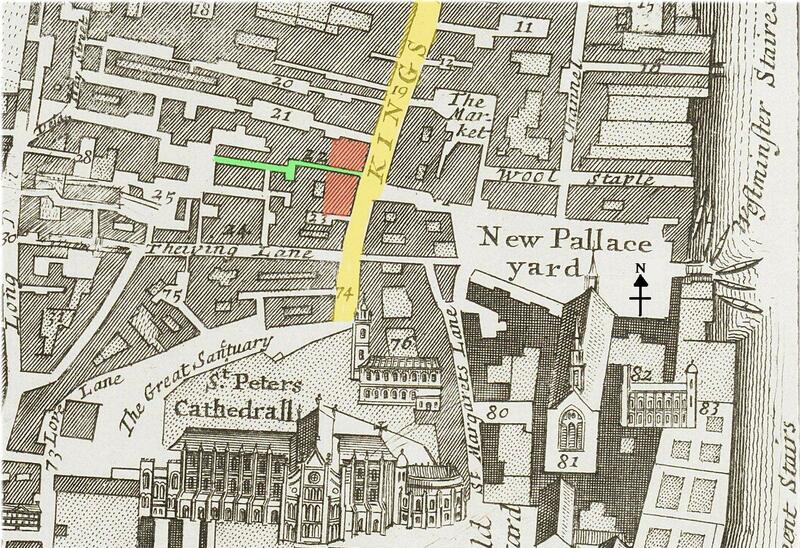 The Crown tavern stood in a little alley leading off the north side of Threadneedle Street, facing the north end of Castle Alley. The latter alley ran along the west side of the Royal Exchange building. 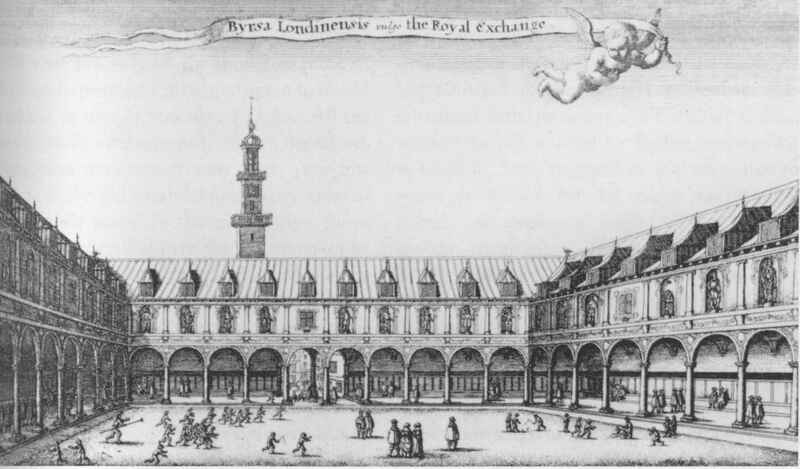 During this period there were reputedly at least 20 different taverns close by the Royal Exchange and several more coffee houses. These were very well frequented by the local business community and were a popular haunt of the Fellows of the Royal Society. These included Robert Hooke, Sir Christopher Wren and Robert Boyle who regularly called at the Crown after attending lectures at nearby Gresham College. According to Robert Hooke the Society also held their annual Anniversary dinners at the Crown tavern between 1673 and 1679. The 1668 Hearth Tax returns suggest that the Crown had 19 hearths which indicates it was a tavern of considerable size (3). The Crown tavern was burnt down during the Great Fire of 1666 but was soon rebuilt. The new tavern was on the eastern side of the first Bank of England close to the re-built parish church of St. Christopher le Stocks. Thomas Blagrave was born in Lambourn, Berkshire in c.1627 the son of William and Dorothy Blagrave (1). It is not known when Thomas moved to London but by March of 1641/2 he is recorded as an apprentice to William Trestene in the registers of the London Vintners’ Company (2). 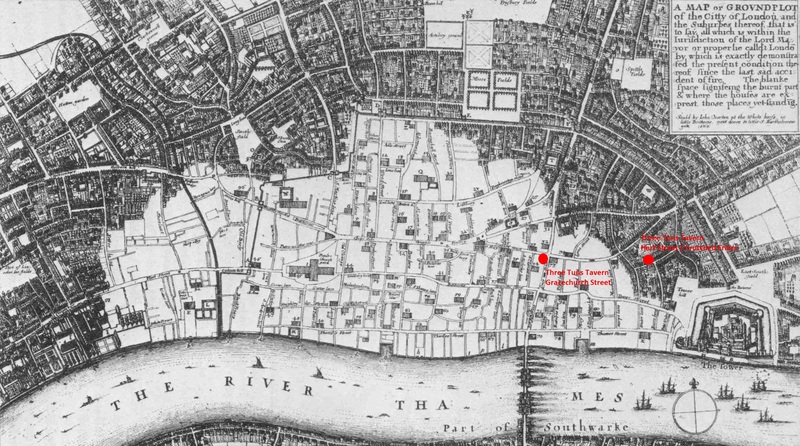 Between c.1653 to c.1659 Thomas, and his wife Jane (maiden name Taylor), ran the King’s Head tavern in New Fish Street, London. 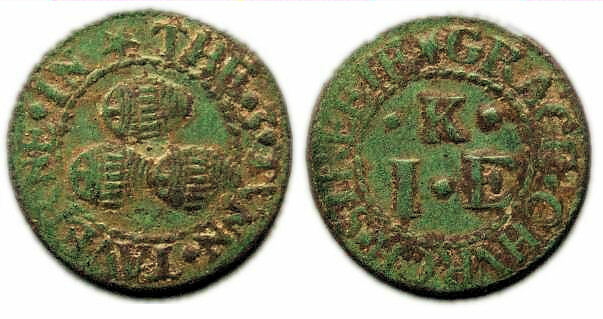 During their tenancy at this tavern they issued a set of farthing trade tokens bearing a triad of their combined initials on their reverse sides. 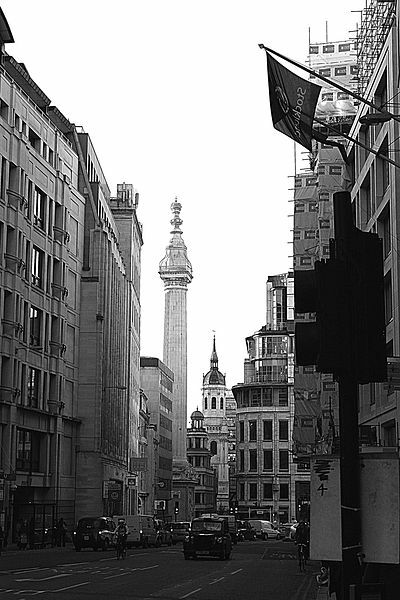 Thereafter the couple moved to the Antwerp tavern in Bartholomew Lane, opposite the Royal Exchange, off Threadneedle Street. This was a tavern of some considerable size as confirmed from the Hearth Tax returns of 1662 which records it having 18 hearths. Thomas Blagrave kept this establishment until c.1663 (2) when his family moved literally round the corner to take over the running of the Crown tavern on Threadneedle Street. During their marriage Thomas and Jane had at least four children (4). Two of them, Benjamin (b.1659) and Charles (b.1661), were born while they kept the Antwerp Tavern. A further two, Hannah (b.1667) and Thomas (b.1670/71), were born while they were resident at the Crown tavern. In the accounts of St. Christopher le Stocks parish church “Captain” Thomas Blagrave is variously listed from 1664 as being one of the leading parishioners (3). 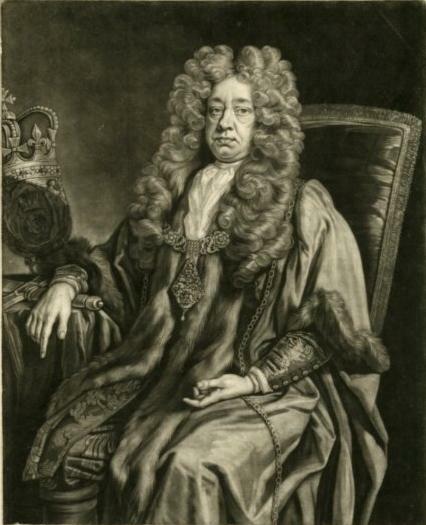 From 1681 Thomas’ rating assessment within the parish was second only to that of John Houblon who is frequently mentioned by Samuel Pepys in his diaries. Houblon was the first Governor of the Bank of England. While Pepys diaries make no reference to Thomas Blagrave by name it does contain eight separate mentions of the diarist visiting the Crown tavern during the period 1665 to 1666. These diary entries are listed below. References to the “club” and “’Change” in these refer to the Royal Society and Royal Exchange respectively. So to the ‘Change, back by coach with Sir W. Batten, and thence to the Crowne, a taverne hard by, with Sir W. Rider and Cutler, where we alone, a very good dinner. Thence home to the office, and there all the afternoon late. Thence by water in the darke down to Deptford, and there find my Lord Bruncker come and gone, having staid long for me. I back presently to the Crowne taverne behind the Exchange by appointment, and there met the first meeting of Gresham College since the plague. Dr. Goddard did fill us with talke, in defence of his and his fellow physicians going out of towne in the plague-time; saying that their particular patients were most gone out of towne, and they left at liberty; and a great deal more, &c. But what, among other fine discourse pleased me most, was Sir G. Ent about Respiration; that it is not to this day known, or concluded on among physicians, nor to be done either, how the action is managed by nature, or for what use it is. Here late till poor Dr. Merriot was drunk, and so all home, and I to bed. So home, they set me down at the ‘Change, and I to the Crowne, where my Lord Bruncker was come and several of the Virtuosi, and after a small supper and but little good discourse I with Sir W. Batten (who was brought thither with my Lord Bruncker) home. After a small dinner and a little discourse I away to the Crowne behind the Exchange to Sir W. Pen, Captain Cocke and Fen, about getting a bill of Cocke’s paid to Pen, in part for the East India goods he sold us. Here Sir W. Pen did give me the reason in my eare of his importunity for money, for that he is now to marry his daughter. Up and all the morning about the Victualler’s business, passing his account. At noon to the ‘Change, and did several businesses, and thence to the Crowne behind the ‘Change and dined with my Lord Bruncker and Captain Cocke and Fenn, and Madam Williams, who without question must be my Lord’s wife, and else she could not follow him wherever he goes and kisse and use him publiquely as she do. Thence to the Crowne tavern behind the Exchange to meet with Cocke and Fenn and did so, and dined with them, and after dinner had the intent of our meeting, which was some private discourse with Fenn, telling him what I hear and think of his business, which he takes very kindly and says he will look about him. Thence back with Mr. Hooke to my house and there lent some of my tables of naval matters, the names of rigging and the timbers about a ship, in order to Dr. Wilkins’ book coming out about the Universal Language. Thence, he being gone, to the Crown, behind the ‘Change, and there supped at the club with my Lord Bruncker, Sir G. Ent, and others of Gresham College. 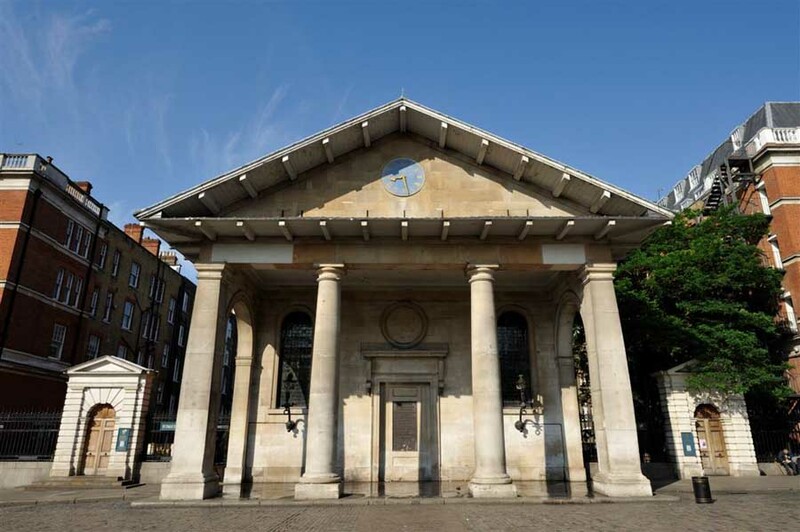 Thomas Blagrave’s wife Jane died in May of 1683 and was buried at the neighbouring church of St. Christopher le Stocks where two of the couple’s children, Benjamin and Thomas, had previously been interred in May and June of 1676 respectively. In 1687 it appears that Thomas got re-married to a 36 year old widower by the name of Hannah Taylor. While he was still running the Crown tavern his place of residence was given on the marriage license as Isleworth in Middlesex. Thomas died on 17th September 1693 aged 66. By the start of the 18th century the Crown tavern had become a coffee-house and by the 1760s it was no-longer trading and had become absorbed within the buildings of its neighbour the Bank of England. 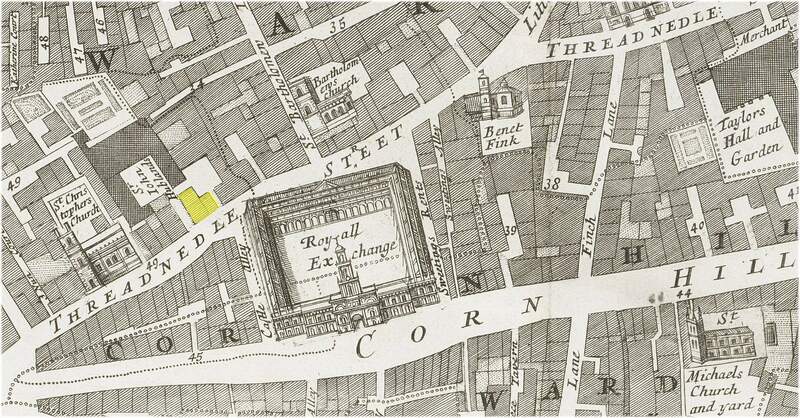 Its location on maps of the period is marked by the site of Crown Court. Today the tavern is long gone. 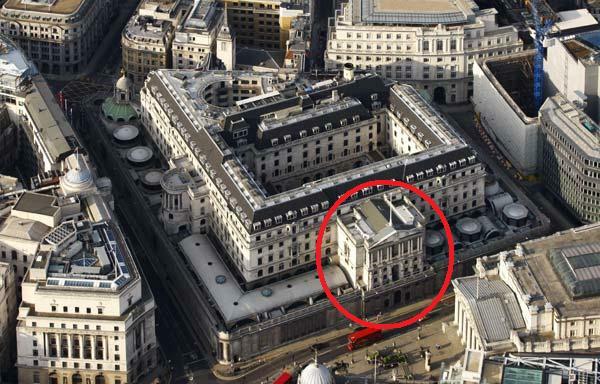 Its location would have been slightly to the east of the main entrance of the present Bank of England at the western end of Threadneedle Street. 1) Boyd, P. – Inhabitants of London – A data base comprising 238 volumes and 27 volumes of Index which lists some 60,000 inhabitants of London from 15th to the 19th centuries. 2) Webb, C. – London Livery Company Apprenticeship Registers. Volume 43. Vintners’ Company 1609-1800. (2006). – According to the summarised entry of Thomas’ apprenticeship indentures his place origin is listed as Wing in Buckinghamshire. This was his mother’s home village and he may have moved from Lambourn in Berkshire (his birth place) to live with family on his mother’s side prior to moving to London. 3) Berry, G. – Tavern Tokens of Pepy’s London. (London, 1978). 4) According to Boyd’s “Inhabitants of London” Thomas and Jane Blagrave had a further child, Jane who was married a Thomas Lechmere in 1677 in Westminster Abbey. The present writer has not been able to find conclusive evidence to support this or that Jane was not the daughter of a different Thomas Blagrave, i.e. Thomas Blagrave the Royal Court musician (d. 1688) who lived in Westminster and who was possibly very distantly related to the same Berkshire family as Thomas Blagrave the token issuer). The above copper farthing token measures 16.1 mm and weighs 1.63 grams. It was issued in the name of The King’s Head Tavern which was located on the corner of Chancery Lane and Fleet Street in the City of London. Obverse: .THE.KINGS.HEAD.TAVERNE , around the central depiction of a the facing head and shoulders of King Henry VIII. The King’s Head is first recorded in 1472. It was one of the forty permitted taverns (as opposed to inns or the later introduced “ordinaries”) fully licensed to operate within London under an Act passed in 1553. From his diary entries (1663-69) we know that Samuel Pepys was familiar with at least 10 of these earlier listed taverns including the King’s Head. Despite the fact that his travels to and from the Navy Office and Whitehall would have taken him past the King’s Head on a regular basis Pepys only records two visits to the tavern during the six years he was writing his diary. These are reproduced (in part) below. The reference may be to a separate establishment of the same name in a different part of the city as Pepys refers to the establishment as an “ordinary” as opposed to a tavern. There were discreet differences between taverns, inns and ordinaries and it is doubtful that Pepys would have confused the two definitions. 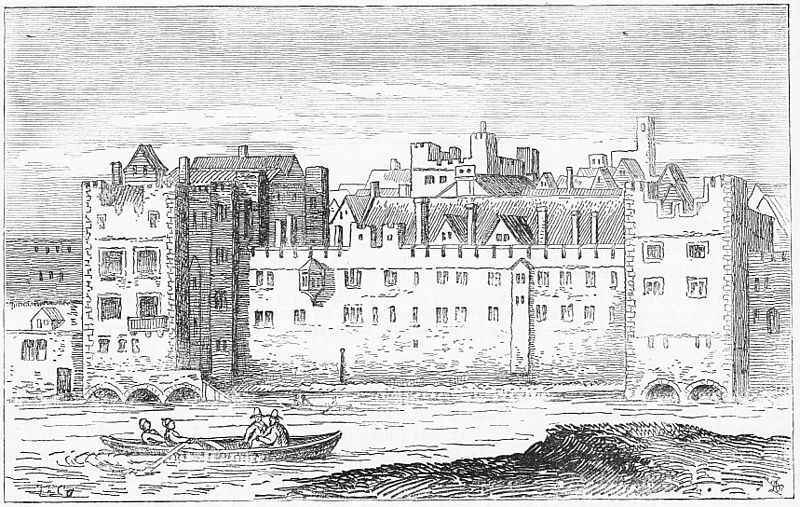 The King’s Head at the southern end of Chancery Lane was a well-known city tavern and land mark. L.W. & H.M. – The partnership of Lewis Wilson and Henry Morris who ran the tavern between 1660 to c.1662. After which Henry Morris appears to have left the partnership. W.M. & K.M. – William Mart and his wife (Katherine?) who ran the tavern between 1666 to 1682. Prior to this the couple had run the Queen’s Head in Fleet Street where they also issued trade tokens. 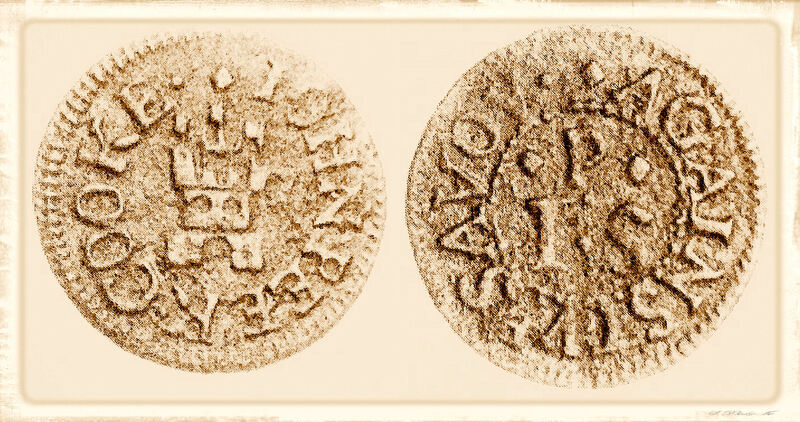 The farthing token illustrated above is one of those issued during the tenancy of Thomas Kent and his wife. This is indicated by the triad of issuers’ initials displayed on its reverse side. Thomas Kent’s name first appears in the St. Dunstan’s list of vintners in 1630 and remains on it until 1660. In the Lambeth Tithes list of 1638 his rent is accessed as £70. A poll list of 1660 includes a reference “Mr. Thomas Kent, vintner, has been warden“. 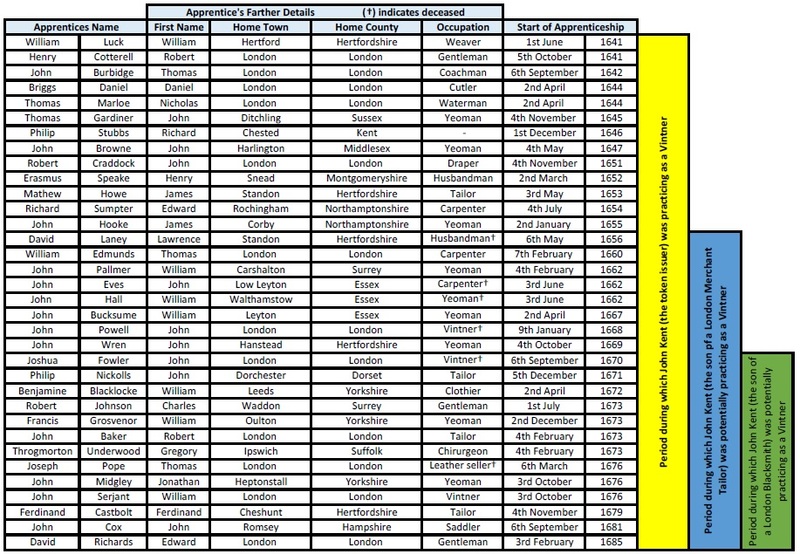 In a further parish list of the same year Kent’s name is replaced by those of Henry Morris and Lewis Wilson (1). According to one reference only the first and second floors of the ancient four-story building on the corner of Fleet Street and Chancery Lane were devoted to housing the King’s Head tavern. Amongst other rooms the tavern possessed a dedicated dining room plus a music room (2). The Hearth Tax return for Fleet Street in 1666 indicates that during the tenancy of William Mart the King’s Head possessed 20 hearths.. The building’s ground floor housed shops. 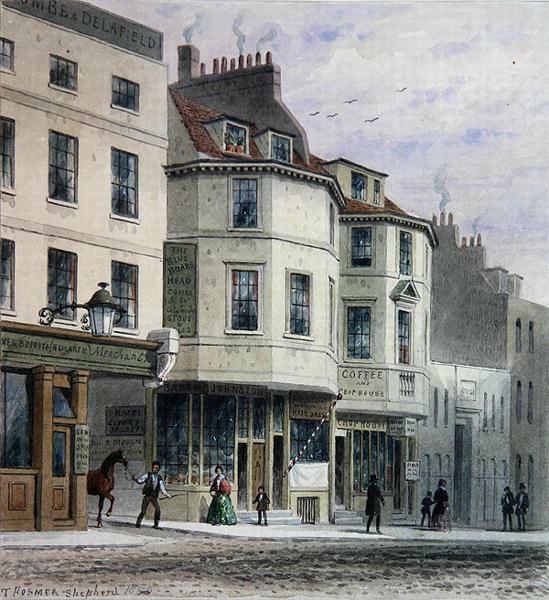 One was a grocery which was run by the father of the famous 17th century poet Abraham Cowley another a book shop run by Thomas Maxey from where he printed and sold the first edition of Izaak Walton’s “Complete Angler”. Luckily for all the tradesmen that operated from this ancient building the Great Fire of London (1666) stopped just short of its location on Fleet Street. During Samuel Pepys’ time the King’s Head tavern was known as a “Protestant House”. Between c.1675 and 1683 it was the meeting place of the Green Ribbon Club (3) . This notorious group comprised lawyers, city politicians, and MPs alarmed by what they perceived to be a drift towards “popery” and arbitrary government under King Charles II together with the prospect of Charles’ brother, the Duke of York (later King James II), inheriting the throne. The club took its name from the green ribbons which its members wore in their hats and which subsequently proved to be a useful means of recognition in street brawls. The choice of this emblematic badge was derived from the similar ribbons attached to the clothes worn by the Levellers. The Levellers were a pre-eminent political group that rose to prominence during the English Civil Wars and which had a significant following with Oliver Cromwell’s New Model Army as well as within the general populace of the city of London. Many of the club’s members had extreme protestant views and were supporters of Titus Oates and his anti-Catholic rantings. They were also associated with the Rye House Plot and the Duke of Monmouth’s rebellion. According to the playwright John Dryden, drinking was the chief attraction of the club and the members talked and organized sedition over their cups. Prior to 1679 the club’s had been known as the King’s Head Club, after the tavern where they met. The tavern’s trade sign depicted of the head of King Henry VIII (as per that used on its tokens). As Henry was Britain’s first protestant ruler it made this already well-known Fleet Street tavern the ideal meeting place and emblematic home of the club. Included amongst the club’s most notable members were the Duke of Monmouth, the Earl of Halifax, the 3rd Earl of Shaftesbury. The latter famously harangued Samuel Pepys, during his early parliamentary career, accusing him of being a Roman-catholic in an attempt to undermine him. In 1680 and 1681 the club organised pope-burning processions on the anniversary dates of Queen Elizabeth I’s accession to the throne. These ended by the lighting of huge bonfires in front of the King’s Head tavern and proved an effective means of inflaming the religious passions of the populace. William Hogarth’s depiction of a street celebration in April 1653 outside the King’s Head tavern in Fleet Street applauding the dissolution of the Rump Parliament by Oliver Cromwell. A near contemporary image of Fleet Street looking west towards Temple Bar Gate can be found in an engraving by William Hogarth. The vantage point for this view is at, or very close to, the street frontage of the King’s Head tavern. This image was commissioned as part of a set of prints to illustrate an issue of Samuel Butlers poem “Hudibras”. The content of the print is that of a street protest against the “Rump Parliament” which was dissolved by Oliver Cromwell on 20th April 1653. Its depicts members of the public roasting rump steaks on an open bonfire together with full size effigies of members of parliament being hung from shop front signs. 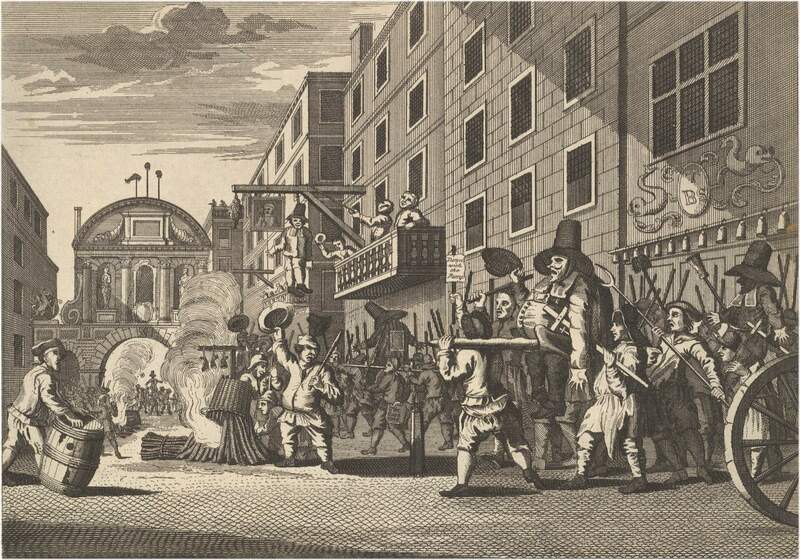 This possibly fictitious scene will know doubt have resembled the actual events which took place outside the King’s Head tavern in 1680 and 1681 when the Green Ribbon Club’s pope-burning processions reached their climactic finale. In the late 17th century Robert Hooke and other fellows of the Royal Society are noted by one source (4) to have regularly met at the King’s Head Tavern. As President of the society from 1684 to 1686 Samuel Pepys was probably amongst those notable members who attended such meetings. No doubt the meetings of the Royal Society members were less rowdy and quieter affairs than the earlier meetings of the Green Ribbon Club. 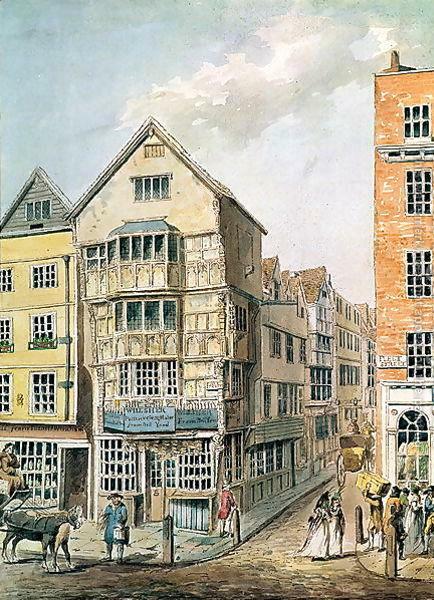 A late 18th century painting of the building which once housed the King’s Head Tavern (by William Alexander 1767-1816). 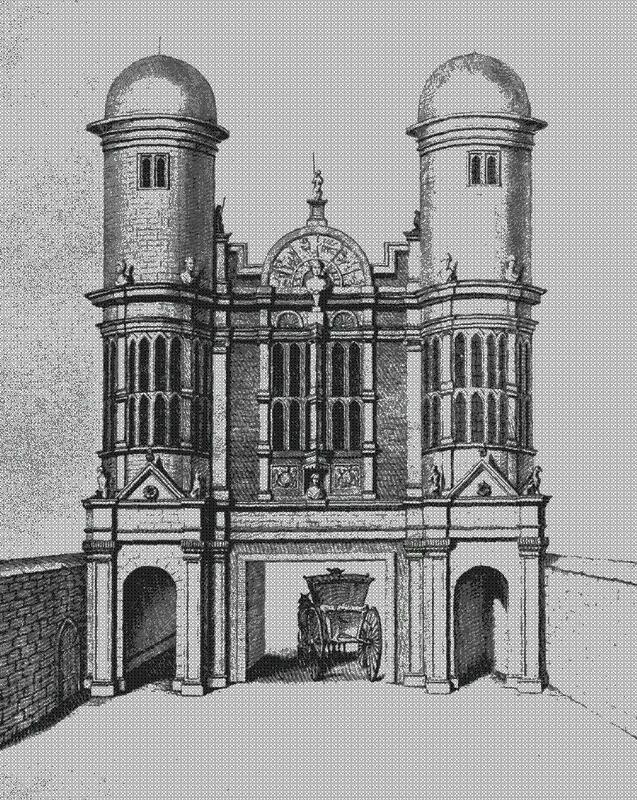 A late 18th century image of the building is preserved in a picture by the artist William Alexander. The tavern’s distinctive trade sign, which depicted the head of King Henry VIII, is no-longer visible in this picture which confirms its was painted after the tavern had ceased to operate. 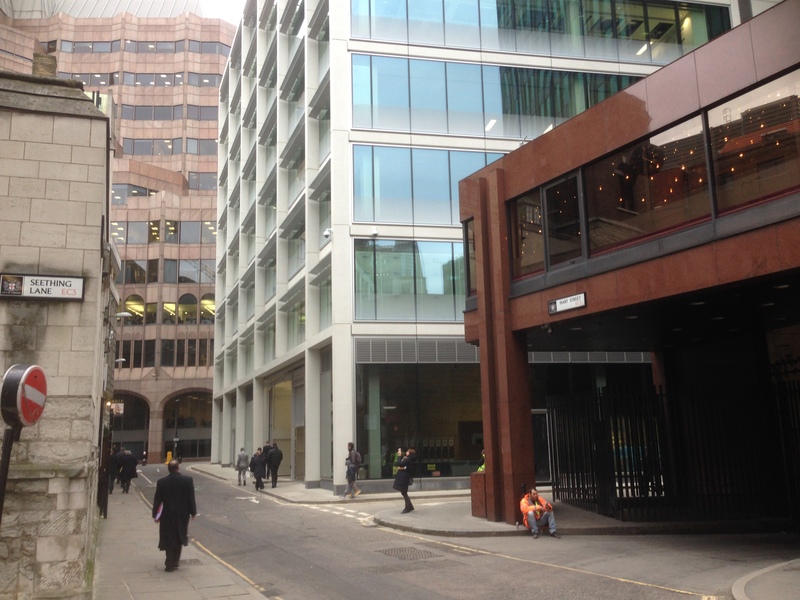 The tavern was demolished in 1799 af the widening of Chancery Lane (2). Today the site of its original location is occupied by George Attenborough & Son (jewellers at 193 Fleet Street). 2) Wheatley, H.B – London: Past and Present: Its History, Associations and Traditions. (London, 1891). 3) Shelley, H.C. – Inns and Taverns of Old London. (London, 1909). 4) Jungnickel, C. & MacCormmach, R. – Cavendish. (Philadelphia, 1996). The above copper farthing token measures 15.6 mm and weighs 0.94 grams. It was issued in the name of The Fleece Tavern in Bridges Street. This now lost street lay off the eastern side of Covent Garden in Westminster. Obverse: (mullet) AT.THE.FLEECE.TAVERNE , around the central depiction of a sheep’s body facing left and suspended in a harness around its middle. Reverse: (mullet) .IN.COVEN.GARDEN. , around twisted wire inner circle, letters W.C within. 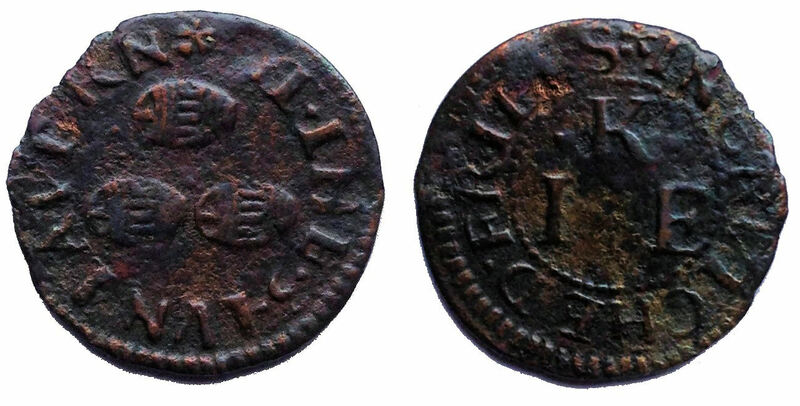 This is one of two undated tokens, a farthing and a half penny, of similar design which were issued from the Fleece Tavern in Covent Garden and which bear the issuer’s initials W.C. 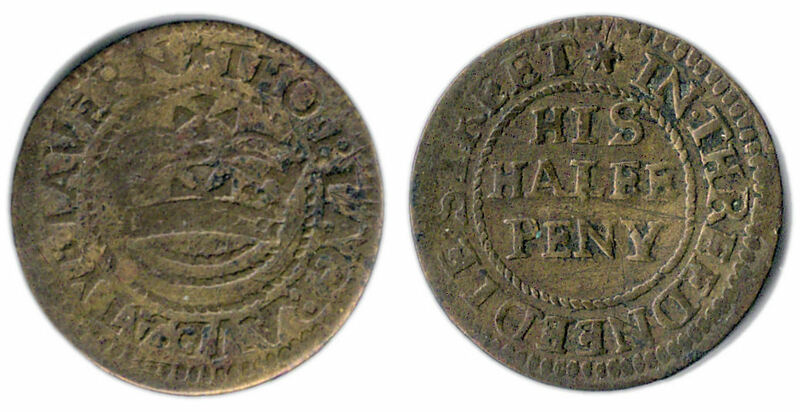 The slightly larger half penny tokens also carry the issuers name in full, William Clifton, so there is no doubt who was responsible for their issue. Although not a common inn sign today the emblem of the Fleece or Golden Fleece was not uncommon in the 17th century. As well as being a common inn sign it was also adopted by tradesmen working in branches of the wool trade. 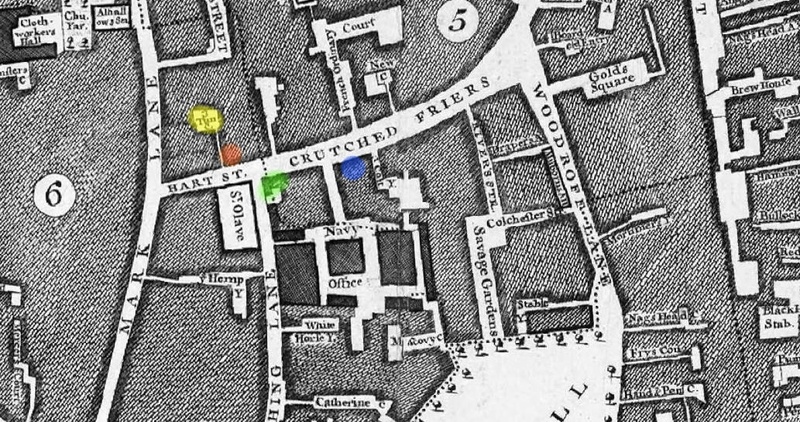 Immediately after the Restoration the taverns of Covent Garden, notably the Rose and the Fleece taverns on Bridges Street, gained an unsavoury reputation as places of licentiousness and violence which included several mur­derous assaults that took place on their premises. 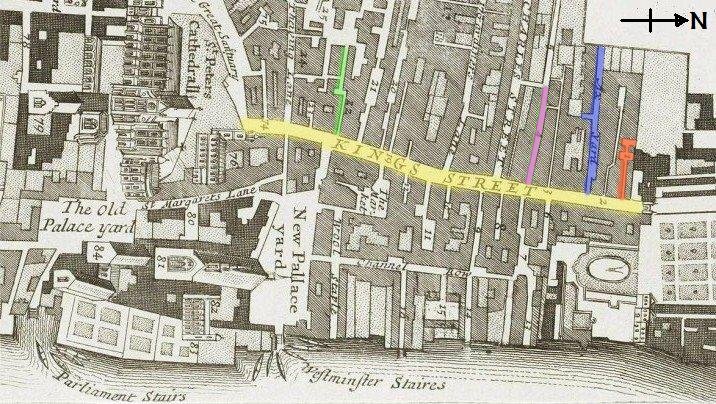 The establishment of the Fleece tavern dates to the building of Bridges Street in 1632. 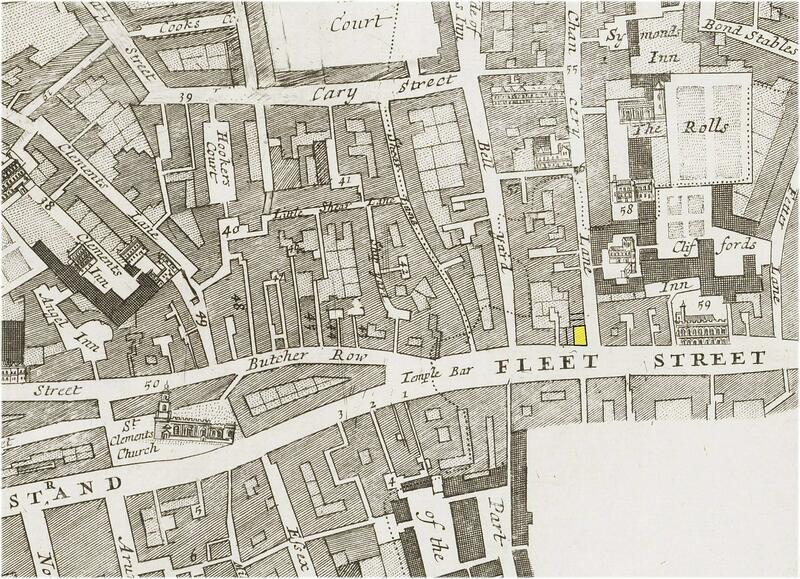 According to one early token researcher, Henry Beaufoy,(1) an entry in the 1651 rate book for the Covent Garden area notes the Fleece tavern as being located six houses down from the corner of Bridges Street and Russell Street, an area later taken up by the Drury Lane Theatre. The same rate book also confirms that William Clifton was then the tavern’s landlord. The location of the Fleece on the south-west side of Bridges Street is confirmed by later authors. 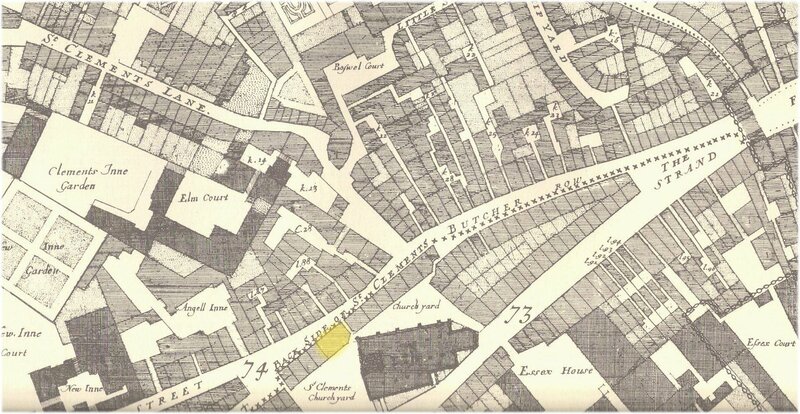 However, John Aubrey (2) writing in 1696 claims it to have been in York Street. This may allude to the tavern having a back entrance, no doubt a very convenient resource for such a dubious establishment. Prior to 1633/4 William Clifton was landlord of the Goat tavern in nearby Russell Street before moving to the Fleece where he took over from the previous landlord, Thomas Gough (3) . 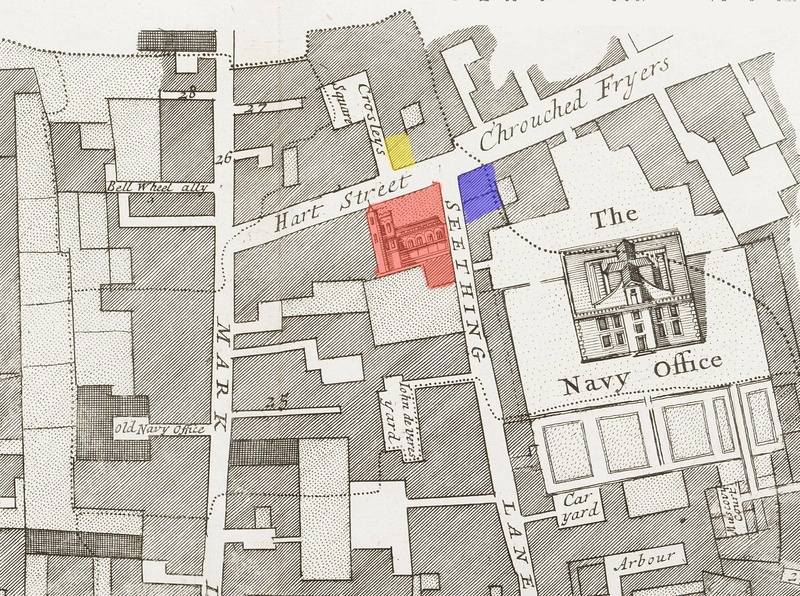 After arriving in his new premises in Bridges Street he soon appeared to have issues with William and Mary Long, who ran the neighbouring Rose tavern which was located on the corner of Bridges Street and Russell Street. The Fleece seems to have been a more prosperous establishment than its neighbour. According to one previous study (1) in the local rate book of 1657 William Clifton is assessed at 26/- whilst William Long at the Rose was assessed at only half that amount. This relative prosperity bias may be down to the comparative size of the two establishments. In the 1666 Hearth Tax return from the Covent Garden district the entry for William Clifton is for a sizeable premises with 24 hearths while that for Mary Long (at the Rose) is for on 14 hearths. Despite running a large tavern such as the Fleece it appears that William Clifton still found time to undertake additional responsibilities within his local parish (St. Paul’s, Covent Garden). In 1644 he is reported as being an overseer of the poor (4). 1657 – refer to a payment of 26/- “for mending the grate over the sewer by the Fleece Tavern”. 1658 – payment on 12th April to “Mr. Clifton £3-13-0 for wine for the last yeare”‘. There is a further mention of William Clifton in an issue of the Kingdom‘s Intelligencer of December 1661. A public announcement refers to the loss of a looking-glass and some gilt leather hangings. Anyone who knew of their whereabouts and who reported the matter to “Mr. Clifton at the Fleece Tavern” was to be rewarded with 40 shillings. Clifton was vintner at the Fleece from 1633/4 until at least 1672. According to one source William died in 1672 and his wife, Martha, continued as landlady. The current researcher has not been able to find any records of the marriage of William and Martha Clifton. 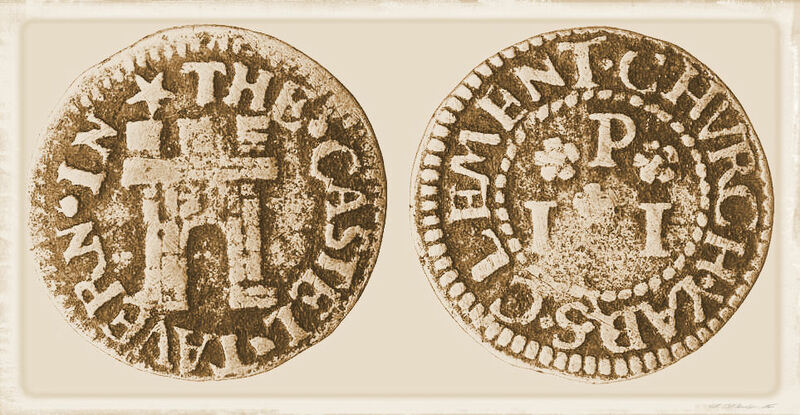 The farthing and half penny tokens issued in the name of the Fleece only bear William’s initials, instead of the a triad of token issuer’s initials which are usually displayed if the primary issuer is a married man. On the basis that neither of the token types issued by William Clifton from the Fleece probably date to no later than c.1660 it would be reasonable to assume that William and Martha weren’t married until after this time. The seal of William Clifton of the Fleece tavern in Govent Garden. The bottle is of the shaft and globe variety (1650-80) and was found by MOLA (Museum of London Archaeology) during excavations on St. Helen’s Place, Bishopsgate in the City of London. Photograph by Nicholas Major and supplied by Nigel Jeffries (MOLA). While it is not known when he died a foot note in a manuscript copy (held in the library of the Royal Society) of John Aubrey’s earlier sited reference to the Fleece tavern states “Clifton the master of the house, hanged himself having perjured himself”. This being the case it fully explains why no burial record can be found for William Clifton in the parish register for St. Paul’s Church in Covent Garden or for that matter any other parish burial records. As a suicide victim Clifton would have not been eligible for burial in consecrated ground and hence his death will have gone unrecorded in church records. According to one source (3) the Fleece burnt down in 1688 and was rebuilt as a private house. This building was still standing in 1722 as an advertisement in the Daily Post for 22 January 1722 relates “To be let furnished or unfurnished a very good house in Bridge Street, two doors from the Play House, the corner of Vinegar Yard at the Green Raith which was formerly the Fleece Tavern“. The former location of the Fleece, like the Rose, must have been engulfed in the exten­sions to the Drury Lane Theatre in 1766. Despite its reputation the Fleece Tavern was a popular haunt of Samuel Pepys . Between the period 1660 to 1669 he visited the tavern on at least 4 separate occasions which he records in his famous diaries. The associated entries are listed below chronologically. The “Scottish knight” referred to above confuses two facts regarding this actual occurrence. The knight in question was in actuality Sir John Godschalke of St. Martin in the Field, and the murderer reputed to be one Scotsman named “Balenden”. 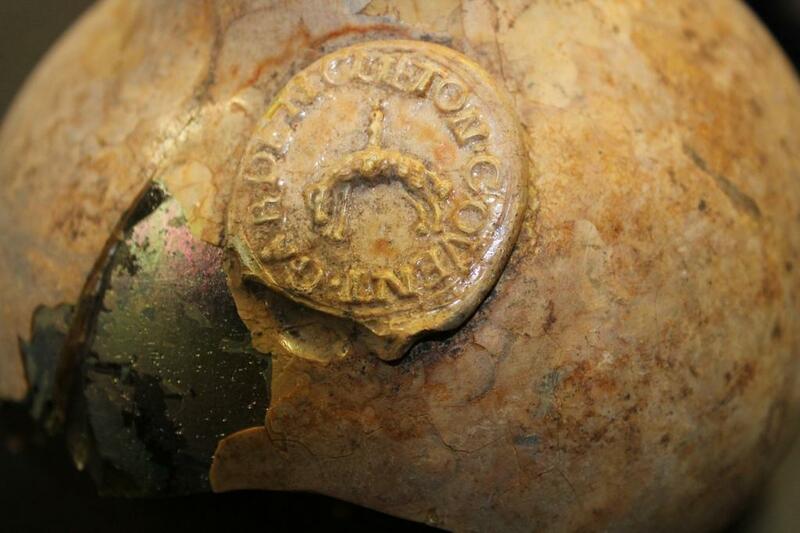 I would like to thank Nigel Jeffries of Museum of London Archaeology (MOLA) for drawing my attention to the existence of glass bottles (1650-80) in their in their collection with seals bearing the details of William Clifton of the Fleece in Covent Garden. 1) Burn, H.B. – A descriptive catalogue of the London traders, tavern, and coffee-house tokens presented to the Corporation Library By Henry Benjamin Hanbury Beaufoy. (London, 1853). 2) Aubrey, J – Miscellanies Upon Various Subjects (Forth edition, London, 1857). 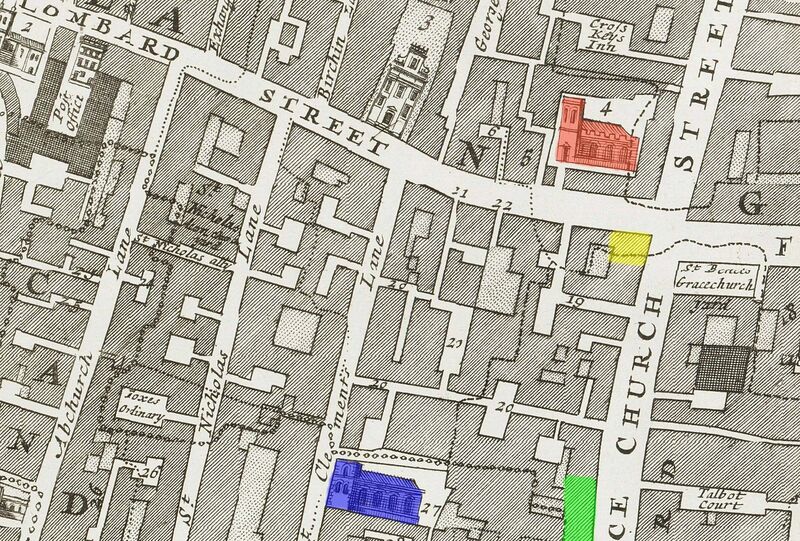 3) Sheppard, F. H. W.(General Editor) – Survey of London. 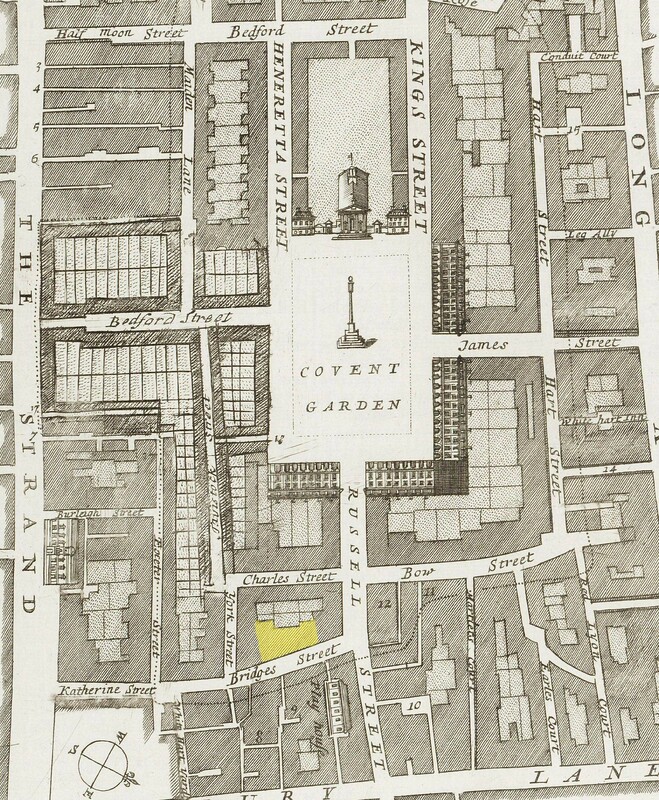 Volume 36 – Covent Garden. (London, 1970). 4) Latham, R.C. – The Diary of Samuel Pepys. Volume 10 – Companion. (London, 1995).